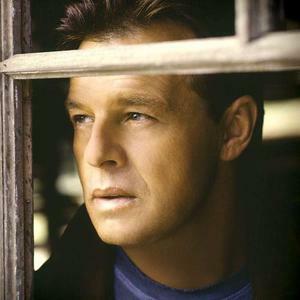 Samuel Paul "Sammy" Kershaw (born February 24, 1958, in Kaplan, Louisiana) is an American Country and Western music singer and songwriter. He is a relative of Cajun music legend, Doug Kershaw. After the death of his father when Sammy was 11, he worked a variety of jobs by day while playing roadhouses at night to support his family. During that time, he opened shows for Ray Price, Merle Haggard and George Jones while barely into his teens. He is a relative of Cajun music legend, Doug Kershaw. After the death of his father when Sammy was 11, he worked a variety of jobs by day while playing roadhouses at night to support his family. During that time, he opened shows for Ray Price, Merle Haggard and George Jones while barely into his teens. When the pressures of growing up fast took their toll in the form of a serious drug and alcohol problem, he quit his bad habits cold turkey in 1988 and took a break from music to work as a remodeling supervisor at Wal-Mart. One of Kershaw's demo tapes made its way to Mercury Records, which released his debut album in 1991. His traditional country voice found a receptive audience in the early 1990s, with hits like "Cadillac Style," "She Don't Know She's Beautiful" and a remake of the Amazing Rhythm Aces' "Third Rate Romance." Shortly thereafter, Kershaw and Lorrie Morgan divorced their spouses and married in 2001. They separated two years later, but quickly reconciled. Prior to their marriages, Kershaw and Morgan recorded two duets - "Maybe Not Tonight" and "He Drinks Tequila", both of which made the Top 40. He has released over 14 albums in his career including "I Want My Money Back" on Audium Records in 2003. Kershaw filed for protection under Chapter 13 of the U.S. Bankruptcy Code on February 7, 2007.